I have a Brand New Stealth case just sitting around, & yes they can be converted to ML cases! I could even show u a picture of 2 that I have which were turned into Dime3 ML cases. This case is a USA case, & almost 30 pounds in weight! It is ABSOLUTELY the most heaviest & robust case out of any guitar case I have ever owned, better than the cheaper 333 cases by far! Again I bought 2 of the cases last year that were sitting in a Music store & had NEVER been used, it is absolutely MINT! Slimebolts were never produced. Was that the neck from the Ohio show when he broke the S-bolt cuz of the noise it was making? If so that is Awesome that u have it! Just go to PHOTOBUCKET.com, take a pic of your Dime Bolt guitar with your camera, then on that site it tells you how to download the picture from your camera to Photobucket. Once you have done that, there is a IMG code right by your picture, copy it , come here & paste it! BADA BING , BADA STRING! I am not the brightest with computers as well, but listen to what that fella who goes by T.Y. says! 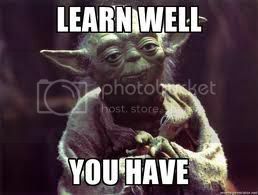 Some call him YODA... Smart he is, good advice he gives! I am guessing u have a 333 Slime or 333 Bolt? $700 TOPS!!! I would put at $400 under the title Washburn Dimebag & let them bid it up. U will attract more folks if u start low , then they start the war! General Discussion / Re: !!!! GUITAR WATNED - PLEASE HELP - WASHBURN SCOTT IAN S181 !!!! You know how many times I have said that about a Guitar!!! Oh, about 8, 8 I should of kept and NEVER gotten Rid of! But I still have a few goodies...But Hope you get Her Back! Was it a One of a Kind, or can u search eBay or Craigslist for another? I know nothing bout Scott Ian Guitars , just Dime models. I see a S176 For Sale for $1900, don't know the difference? YO, T.Y., there is a Rebel for like $600 I think on eBay , type in "Washburn Dime", it comes up only under that category! I know a number of painters now , with all kinds of $ price ranges, some reasonable , others who get or paint more Articulate obviously charge more, get what u pay for! But I have seen a Lot more lately. Easier to do on one of those Black ones, the 333 Black Jacks. Lemme know if u ever get the "ITCH" & need to find a guy, I will chk around! The BEST One/Painter lives in Your State Too!!! Buy a Korean, get it painted! Man they are not that different from a Regular Rg or 80Xp...Any Randall u get, u are gonna have to get the Effects anyways , the Furman, MXR Flang/Dub., & 6 Band...The Century 200 or 200 II is still not enough in it's own. no link , but it's on there! Well are u going for the one in the USA , $500 is as low as I have seen them dude! & I have checked everyday for about oh a FEW YEARS NOW! I chk at least 5 times a day, if u can't tell by my Dime collection in the "Show us your Washburn Section"! You guys have any plans to make any clothing with the monster font style Washburn logo? I know that would be a good seller! YES, a RED One on there for $500!!! GET IT MAN! Uuh Buddy, there are a FEW on eBay USA! But the Black & Red, Both are on there, some sellers think they go for a few Thousand , Do NOT Pay those prices, I have seen em' for $500 to $1200, whatever it's worth to you! I will check again Now!